As Amazon CTO Werner Vogels noted today, despite all of their advantages, it’s still often hard to schedule containers and manage them. “What if you could get all the benefits of containers without the overhead?” he asked. With this new service, developers can now run containers on EC2 across an automatically managed cluster of instances. As Amazon notes, you won’t have to install specific cluster-management software or hardware or match your hardware to your software needs. 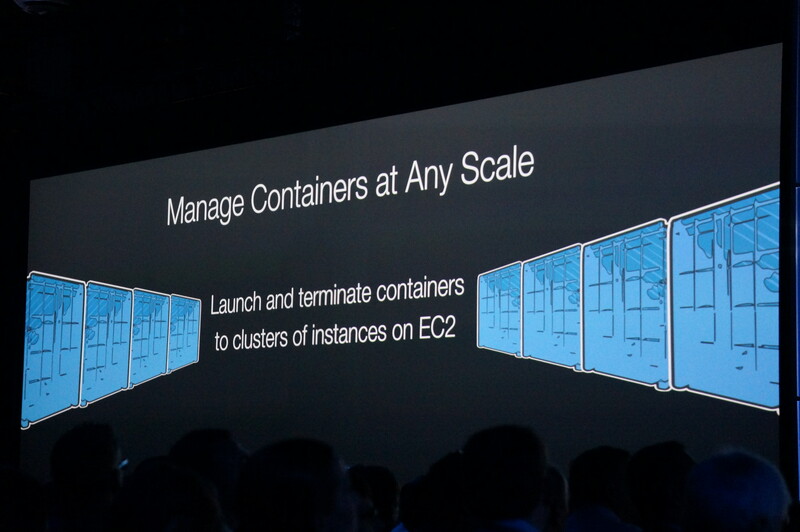 Instead, the EC2 Container Service will manage all of that for you. You launch some instances in a cluster, define tasks and start them. From there, the service will handle the rest. Users can extend the service with other Docker-related products like Mesos, too. 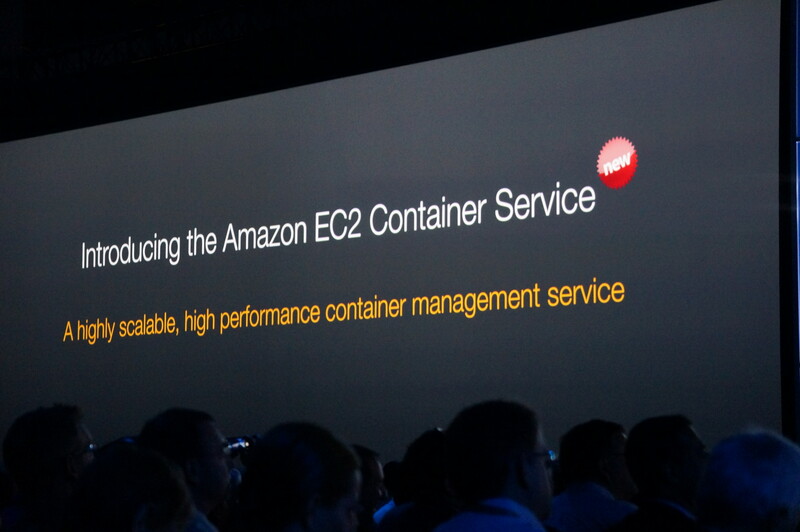 Amazon, of course, is also launching a number of new APIs to manage these containers programmatically. Extensible & Portable – ECS runs the same Docker daemon that you would run on-premises. You can easily move your on-premises workloads to the AWS cloud and back. Resource Efficiency – A containerized application can make very efficient use of resources. You can choose to run multiple, unrelated containers on the same EC2 instance in order to make good use of all available resources. You could, for example, to run a mix of short-term image processing jobs and long-running web services on the same instance. Secure – Your tasks run on EC2 instances within an Amazon Virtual Private Cloud. The tasks can take advantage of IAM roles, security groups, and other AWS security features. Containers run in a multi-tenant environment and can communicate with each other only across defined interfaces. The contained are launched on EC2 instances that you own and control. With this, Amazon follows in the footsteps of other large cloud vendors. Google, for example, is making major investments in adding more Docker capabilities to its Cloud Platform, including its efforts around Kubernetes, a deep integration into App Engine and its recently launched Container Engine. Microsoft, too, is adding more support for Docker to its Azure platform and is even going as far as supporting the Google-sponsored Kubernetes project. As an Amazon executive told me yesterday — without mentioning today’s announcements — Amazon likes to offer the services that its customers are asking for. Clearly, the company has now heard its customers wishes.